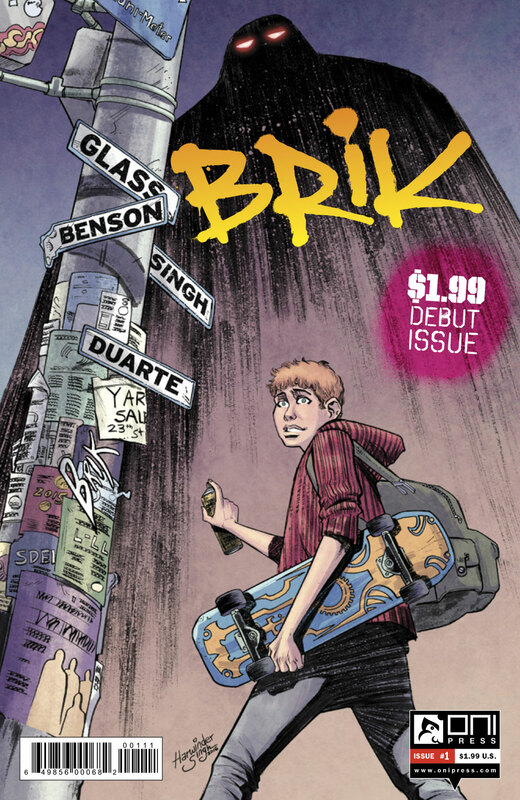 Brik is a story about a young boy called Drew growing up in a burgh of New York. He is raised by his mother and grandfather above a small local shop they own. Between the bullies at school and the Russian mob harassing his family, Drew doesn’t have to look too far for his troubles. One night, while feeling particularly despondent, Drew’s grandfather spins him an old fairytale about a mystical creature that can be summoned to protect those in need during hard times. Drew’s world is suddenly turned upside down when his grandfather is murdered and he becomes consumed with anger. Remembering the tale his beloved grandfather told him, Drew finds himself daring to believe this myth to be true, and hoping that it could potentially be the tool for his revenge? On the surface, this sounds like another well-loved troubled teen who lives in New York, had a father figure murdered and seeks revenge before realising with great power… etc… etc. But holster those web slingers true believers, because hat’s where the similarities end. Adam Glass and Michael Benson have created a world steeped in folklore but retaining a sense of the familiar. The writing is sleek and to the point, taking only a few panels to establish relationships and letting you relate to the characters easily. There is a subtle dark undertone in the writing (almost humorous at times, but I think that says more about me than the writers? ), signalling that there is a lot more to the back story of this troubled teen than meets the eye, and urging you to read on. Harwinder Singh’s artwork is gritty and has an almost unfinished feel to it at times which adds to the bleakness of the lead and his sense of being alone and angry. With a story like this there is always a worry that it will lose itself in the ‘action’ and forget about the characters which drive the plot. However, looking at the CV of Glass and Benson; I have full confidence that they won’t let this rich, engaging story run amok.